Okay, so you’re Raoul, a dog boy who wants to be the best burger chef in Monsterville. Fair enough. But if you really want that success Raoul, then this is where you start paying – in sheer hell. 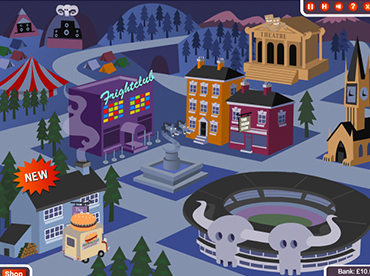 You’ll have to visit various locations to serve your burgers, and naturally all your customers are monsters. No really Raoul, they’re monsters. 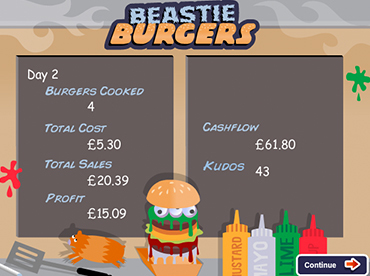 Beastie Burgers is the first full game we worked on under our Robot / Lizard guise. We released it in Halloween 2009 and it’s had over 7 million plays since then. We’ve even built a Facebook version, with micro payment options to help you speed your way to success.